Tomorrow morning, BHS Students will be attending an assembly, to hear Stephanie Siete, as she will speak on "A Focused Examination of Opioids, Vaping and Oils." In 2017, over 72,000 people died of drug overdose deaths in the United States. A majority of individuals passed from respiratory arrest and the abuse of opioids. Surprisingly, most of the deaths were attributed to synthetic opioids such as fentanyl, surpassing the death totals from the more commonly known prescription painkillers. This class will examine the facts, trends, risks and safety precautions. Beyond the opioid crisis, the popularity of vaping e-cigs and marijuana oils has attracted a young audience. Vaping use continues to rise as new, discreet products with over 7,000 flavors have been introduced to the market. Information about concealment, nicotine potency, slick marketing and the risks of use will be discussed. The difference between recreational and medicinal marijuana will also be identified; and impact of potent and non-potent chemicals in oils, leafy green and edibles will also be explained. She began her career with Community Bridges, Inc. (CBI) in 2002 as a drug prevention specialist and has worked her way up in the prevention field educating students, teachers, parents, police and universities about drug dangers and trends. Over the years, she moved into the roles of the Public Relations Director and Community Education Director to her recent position of Public Information Officer (PIO) as of March 1, 2017. In an ever changing world of substance abuse, the role of the PIO is to inform the public, first responders and corporate offices (etc.) via media and trainings about new drugs, risks to use and exposure, and provide resources for help on care and addiction. As the PIO, Stephanie’s job requires her to partner with important community collaborators. She has spent her career training and networking with local and national police and fire departments, healthcare providers and governmental agencies. 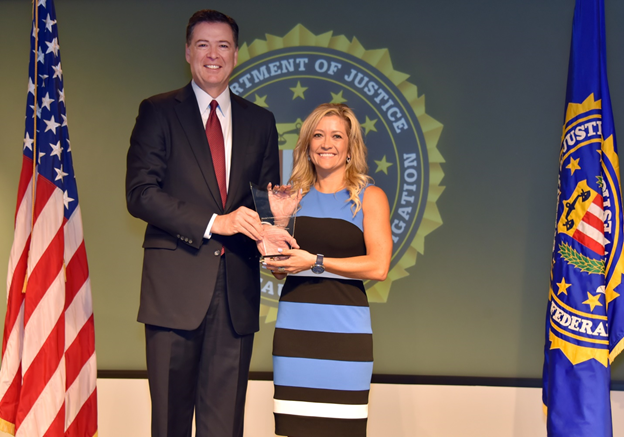 She has hosted seminars for the Federal Bureau of Investigation (FBI), Arizona School Resource Officer Association (ASROA), High Intensity Drug Trafficking Area (HIDTA), International Narcotics Interdiction Association (INIA), and will be featured as a key note speaker for the National Association of School Resource Officers (NASRO) in 2018.